2 posts categorized "Jews In Arab Lands"
American-Israeli journalist Ron Ben-Yishai found himself in Damascus for Yom Kippur. 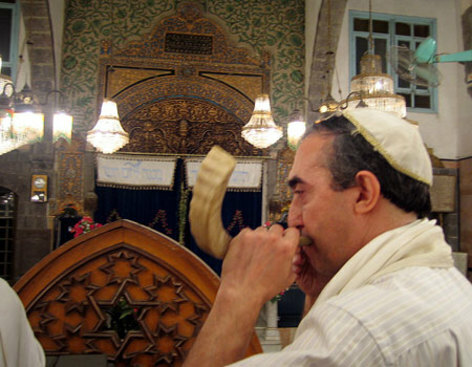 He managed to find the last open synagogue in Damascus and to video the n'eela service. Ynet has the must-see video.